For the perfect Icelandic getaway set in the Golden Circle, indulge yourself at the Hotel Grimsborgir . Whether you want to stay in a room or an apartment, the hotel provides a collection of six suites, 14 apartments and 44 hotel rooms. This secluded haven is a delight, and its bright, white buildings project a feeling of freshness and peacefulness. Its elegant interior and spacious design creates a homely and warming feel, making you relaxed and at ease. Each room is at the height of luxury whilst still retaining a sense of comfort. Here you can immerse yourself in the various fun-filled activities that the Hotel Grimsborgir has to offer. Explore Iceland’s beautiful landscapes and nature in a completely different way on the back of a snowmobile. Or opt for quad biking if you prefer to get your adrenaline pumping. 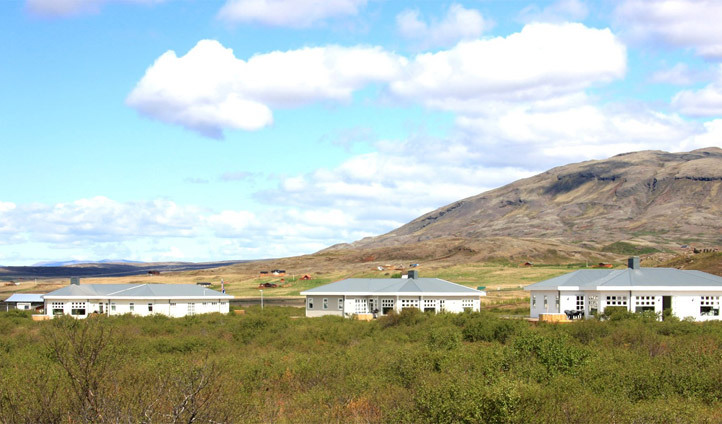 Just a 45 minute drive from the capital, and an hour and a half drive from Keflavik International Airport, the Hotel Grimsborgir is cosily nestled in the South of Iceland. The hotel sits in the most ideal location that allows you to experience some of Iceland’s most iconic attractions at first hand. Surround yourself with Iceland’s most beautiful landscapes, some that include the famous Golden Circle that is only minutes away from the Hotel. 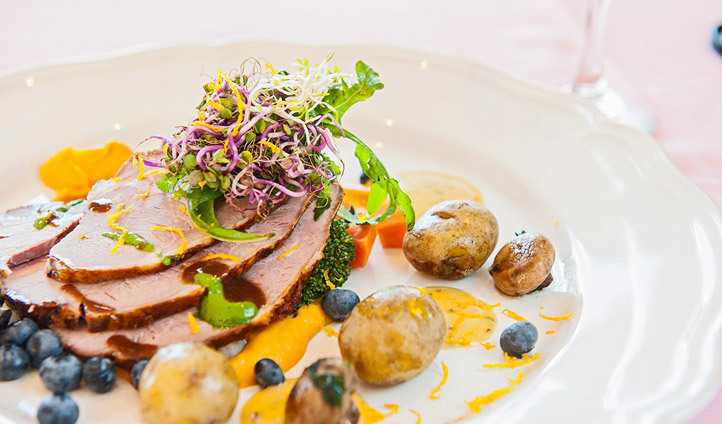 Ranging from standard rooms to suites and luxury apartments, the Hotel Grimsborgir has it all. Whether you choose to stay in a room or opt for an apartment, each room is filled with a comforting and cozy interior, not to mention all mod cons that come equipped with the room, making you feel right at home. After spending a day either snorkelling in the clearest waters, or glacier hiking, find yourself being completely absorbed by Iceland’s natural surroundings whilst relaxing away in the hot tub. We love that the Hotel Grimsborgir has managed to create the perfect space that combines a luxurious getaway, and the ability to have easy access to see Iceland’s most iconic sites. The sense of tranquility and peacefulness that is constantly projected will make you feel right at home, and this just makes our experience in Iceland never want to end.